Do you remember the moment when you fell in love with cars and racing? 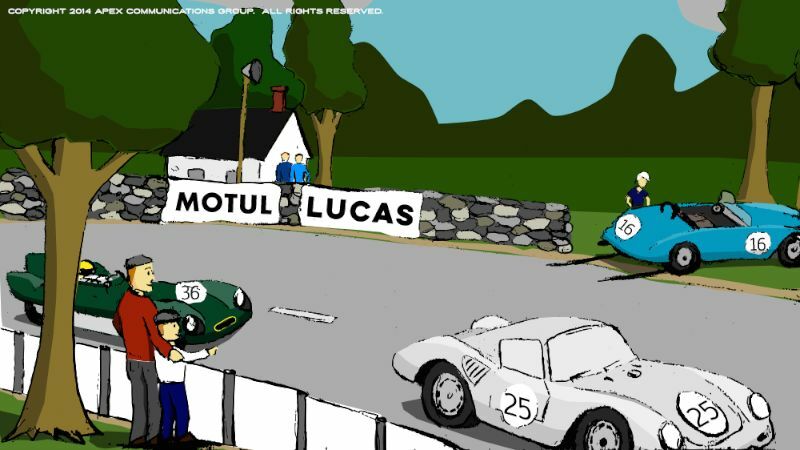 For Chris Workman, the author / illustrator of a new children’s book project called The Longest Day, his passion for racing was born when he attended his first live race event. 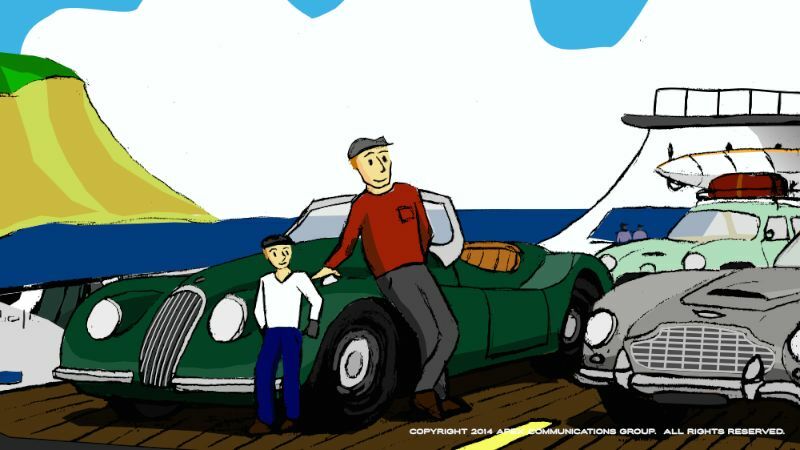 The Ecurie Ecosse Jaguar D-Type is the focal point of a story that encapsulates both the drama of endurance racing with childhood race adventures and bonding between a boy and his father. As noted below, The Longest Day project has made tremendous headway. Workman is self-publishing the book to raise funds for a global autism charity, Generation Rescue, and has launched an Indiegogo campaign to raise the capital necessary to bring the book to market early 2015. As a passionate race fan and car guy, Workman has been contemplating creating The Longest Day for years. “Since I began reading books to my daughter ten years ago I had this seed of a thought in the back of my head to work on picture book. This desire picked up in earnest several years ago as I was reading books to my son,” said Workman. The creative thought process wandered down a few different paths. 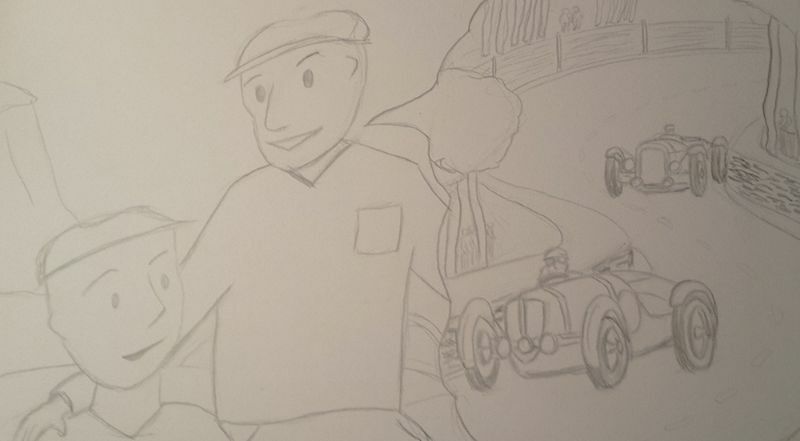 “At first I was thinking about the book characters being animated cars themselves, with the main character being Scurry (built from “Ecurie”) but I ruled that out as it felt overdone at that point.” Development was “leisurely”, but after Workman’s youngest son was born in 2013 the thought process accelerated. While the race itself provided plenty of drama, Workman wanted to build a storyline that provided deeper meaning for the audience. Enter a young boy named Jamison and his father, two small-town Scots who make their way to Le Mans to embark on a race adventure together. Jamison’s father raced at Le Mans himself and is ecstatic to be able to share this amazing experience with his son. We’ll leave additional details on the storyline for when the book is launched next April, but here is a little taste of the action. 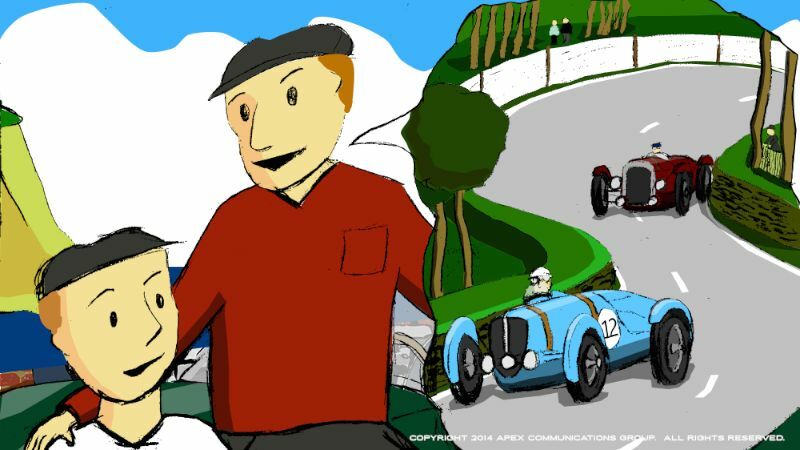 Jamison and his father make their way from Scotland to France for the event, and serendipitously run into a friend while in the village of Le Mans for scrutineering. This friend is David, the team owner of Ecurie Ecosse, who invites the father and son to visit the team’s garage in town and pits before the race. Jamison gets an up-close look at the D-Type and meets team driver Ron Flockhart – and immediately decides that Ecurie Ecosse is “his” team. 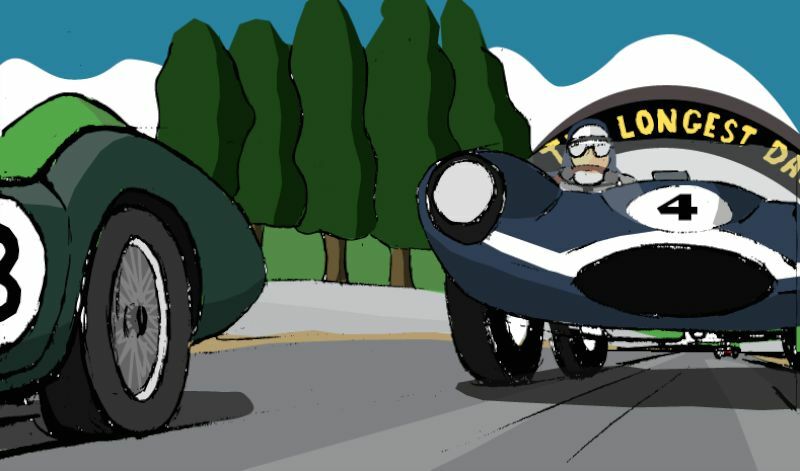 The race adventures of the pair continue from there as they cheer the #4 Jaguar as they battle against the factory teams for outright victory in The Longest Day. In addition to the featured cars, readers will find quite a collection of obscure race and road cars from the era mixed into the book. “I’ve had fun with the secondary cars. 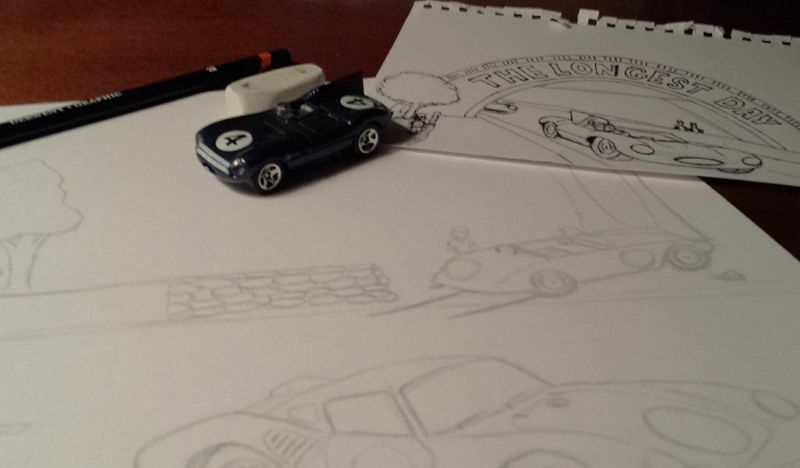 In researching the book there are cars I hadn’t heard of before and to keep the book as engaging as possible I’ve sprinkled them throughout.” The collection is so diverse there may even be a trivia contest on the book’s website or via social media. Authenticity was a core tenet of the storyline as well. Workman has studied several accounts of the race itself, most notably from the book, Le Mans 24 Hours 1949-1959 – The Official History by Quentin Spurring, and has used these details to tell the tale of Ecurie Ecosse’s victory over the world’s best factory teams of the era. The only deviation from the actual events comes through a sense of timing. In reality, this race was settled with around six hours to go – however for The Longest Day the timing of the #8 Aston Martin’s mechanical ailments was bumped up closer to the finish. 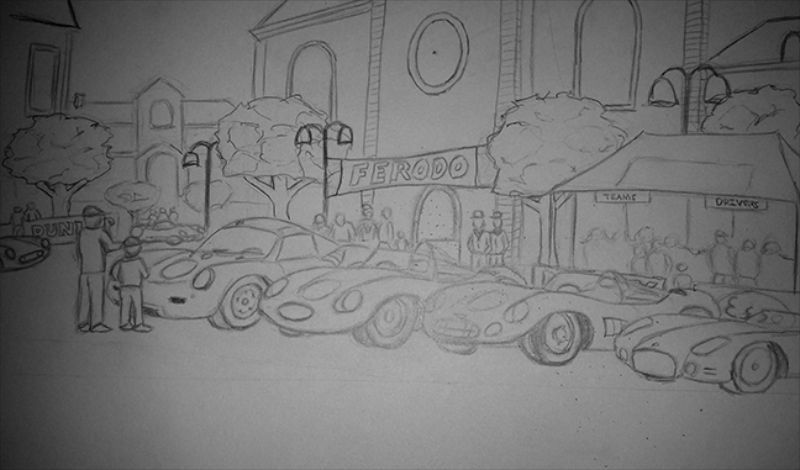 But, by no means was a fictitious, multi-car frantic race to the finish fabricated for the sake of drama. Final book pricing has yet to be set – that will depend on the success of the Indiegogo campaign – however Workman has committed 15% of all printed books sold through his website and Amazon storefront once the book is available for purchase next year. He is working on a final donation value for planned eBooks and other related merchandise. 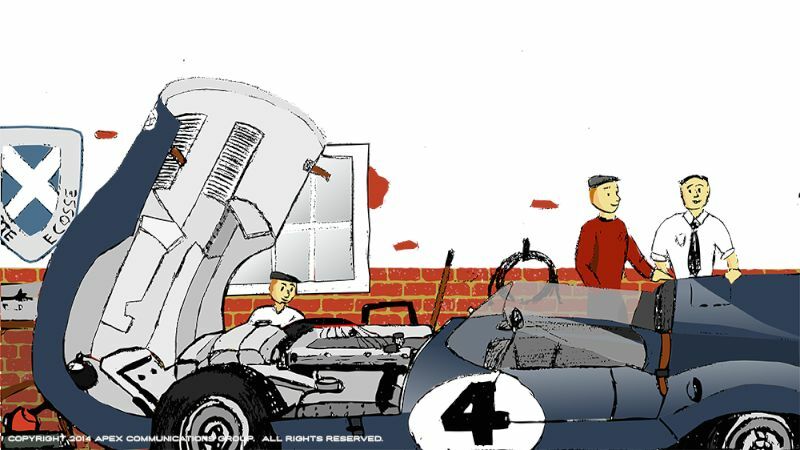 Which brings us full circle – how Sports Car Digest readers, as avid vintage car and racing enthusiasts, can help bring this story to life. The biggest assistance comes in the form of helping fund this effort through Indiegogo. (As an aside, check out the campaign video for The Longest Day; you’ll likely spot a few familiar vehicles from the Sports Car Digest garage). Also, engaging with the project on Facebook and Twitter is also encouraged. And of course, share information on the book with other friends and family members who would be interested in the content. For more information about The Longest Day Book Project, visit LongestDayBook.com or the Indiegogo campaign.